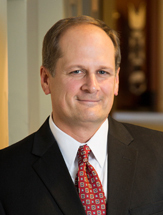 Tim Rigsbee represents both plaintiffs and defendants in all aspects of commercial litigation. He is frequently tapped for high-stakes cases involving breach of contract and commercial lease disputes, fraud, breach of fiduciary duty, trade secrets, trademarks, licensing disputes and professional liability. He has broad experience in mediation, arbitration, trial and appeal in both state and federal courts. Tim has a strong record in representing Fortune 50 companies as well as smaller, family-run entities in bet-the-company cases. Tim utilizes his extensive experience to craft effective legal strategies that are cost-efficient and tailored to the client’s goals. He also strives for the highest level of professionalism with the bench and bar. Tim graduated number one in his law school class, where he was on the Editorial Board of the Law Review and the John Marshall National Moot Court Team. He also served as law clerk to Justice John L. Nickels on the Illinois Supreme Court. Brought breach of contract and Lanham Act claims on behalf of a manufacturing company against distributor who created a competing product. Obtained injunctive relief prohibiting use of deceptive trade names, and recovered a multi-million dollar damages judgment and attorney’s fees. Defended a major international hotel company in a lease dispute in which the building owner sought $35 million in damages. Obtained summary judgment on all the building owner’s claims and a ruling that the owner had wrongfully terminated the lease and owed damages to our client. Represented two wholesalers of copier toner and printer cartridges against the Hong Kong subsidiary of a multinational Chinese conglomerate. Our client was sued in the United States District Court of the Northern District of Georgia asserting 11 counts and seeking over $3.8 million in damages. Bondurant Mixson answered and asserted counterclaims for breach of contract and breach of warranty. We obtained summary judgment on 8 counts. The remaining claims and our counterclaims went to trial before a jury. After all but one of the opposing claims were thrown out at directed verdict, a 12 person jury awarded our client damages as well as attorney’s fees that exceeded the amount awarded on the opposing claim by over $1 million. Brought breach of contract and breach of fiduciary duty claims on behalf of a national insurance company in a case involving a raid of 20 employees. Successfully obtained a ruling from the Georgia Supreme Court that all of the restrictive covenants at issue were valid and enforceable, and prohibiting the departing employees from soliciting the insurance company’s customers and employees. Defended a departing employee in case brought by a technology company for breach of the non-solicitation covenants in an employment agreement and theft of trade secrets. Obtained ruling from the Court of Appeals for the Eleventh Circuit affirming the dismissal of all the claims brought against the employee. Defended an international hotel company in a series of cases alleging breach of fiduciary duties and violation of an operating agreement for a resort hotel. Successfully defended the plaintiff’s effort to obtain injunctive relief that would have forced our client to surrender the hotel. Brought ERISA claim to force plan administrator to provide coverage to former employee who had been seriously injured in plane accident. Obtained injunctive relief ordering plan administrator to provide coverage and damages action was resolved for a confidential amount. Defended international distributor of printing supplies in claims brought by a foreign manufacturing company. Obtained summary judgment on eight counts of the manufacturing company’s complaint and awaiting trial on client’s counterclaims, which all survived summary judgment. Other experience: represented officers and directors of failed insurance company in claims brought under RICO; represented carpet manufacturer in defense of antitrust class action; represented broker in action seeking commissions in case involving breach of a co-brokerage agreement for a New York skyscraper; represented former owners of a company that sold defibrillators in a dispute over calculation of an earnout provision; represented former owners of company that manufactured automotive parts in action alleging fraud and breach of contract related to sale of business; represented orthotic device manufacturers in patent dispute with former employee; represented distributor in contract dispute with consumer electronics company; represented shopping mall owner in foreclosure action filed by bank. Standing Erie on its Head: Should Federal Law Govern Pleading Standards for Section 1983 Claims in Illinois State Courts?